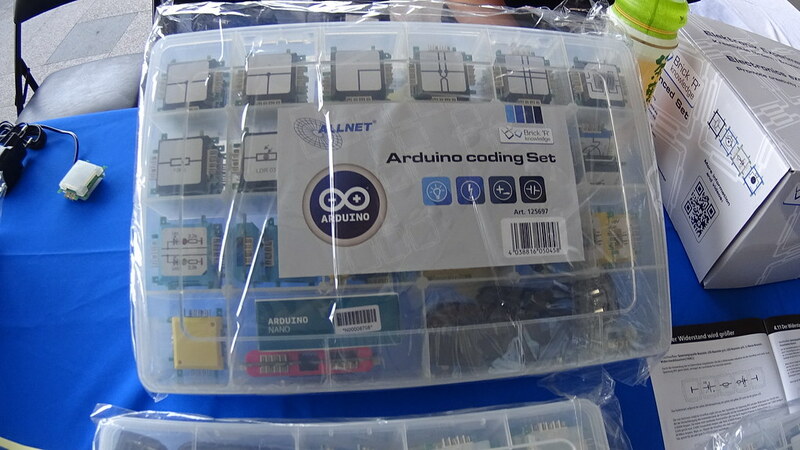 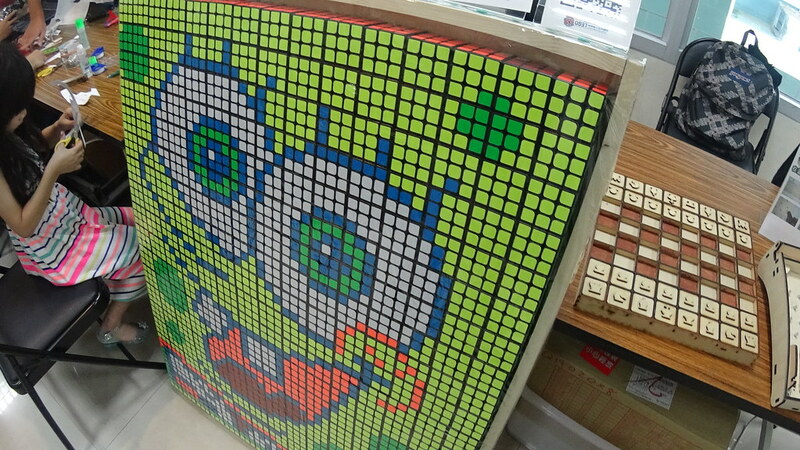 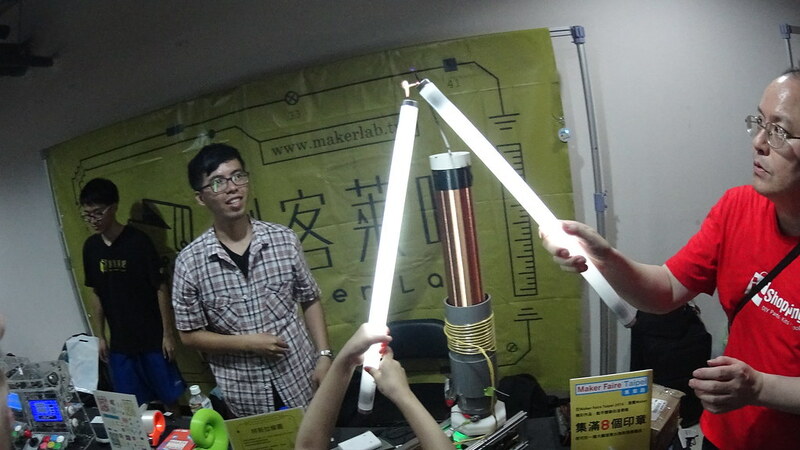 Makers (自造者) are people who like to craft stuff to solve problems. 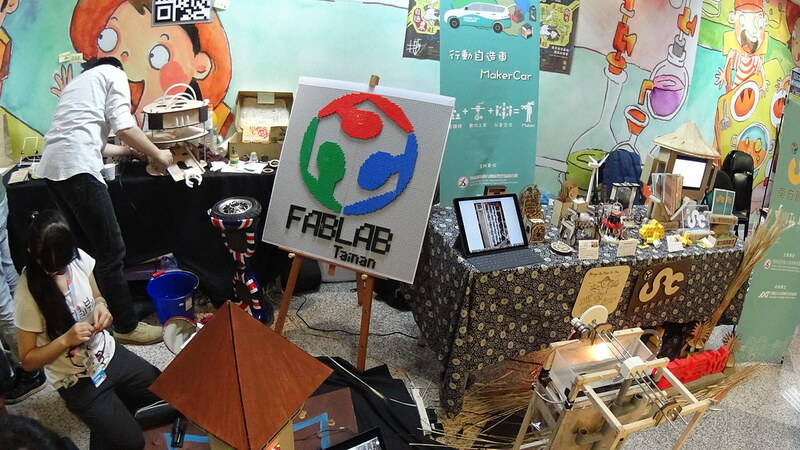 Thanks to the Make: magazine, every year in large cities makers get together and hold a showcase event to show off their works, exchange ideas, and hang out with others. 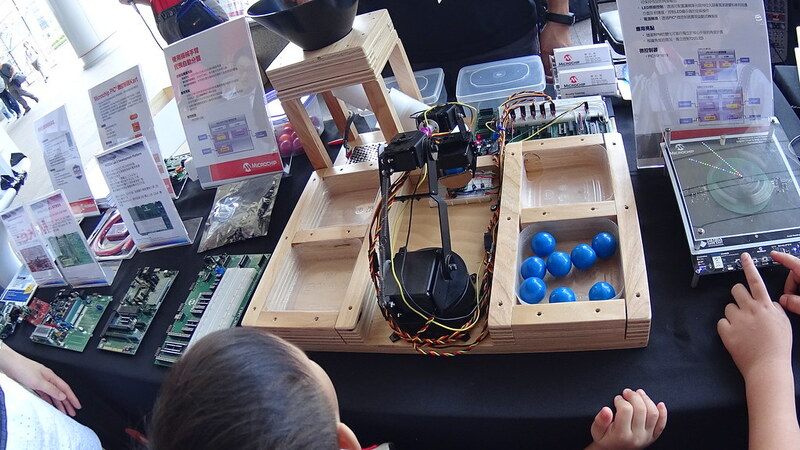 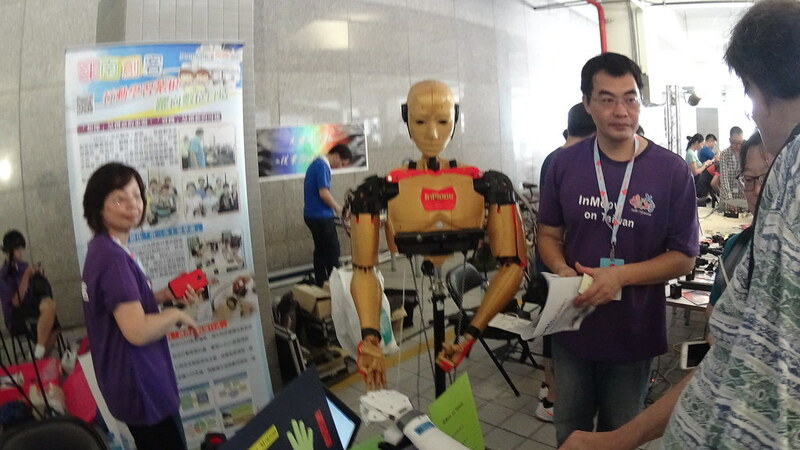 From the business perspective, maker faires are also great places for startups to showcase their newest inventions, for big corps to find potential talents, or for both of them to meet each other and form joint ventures. 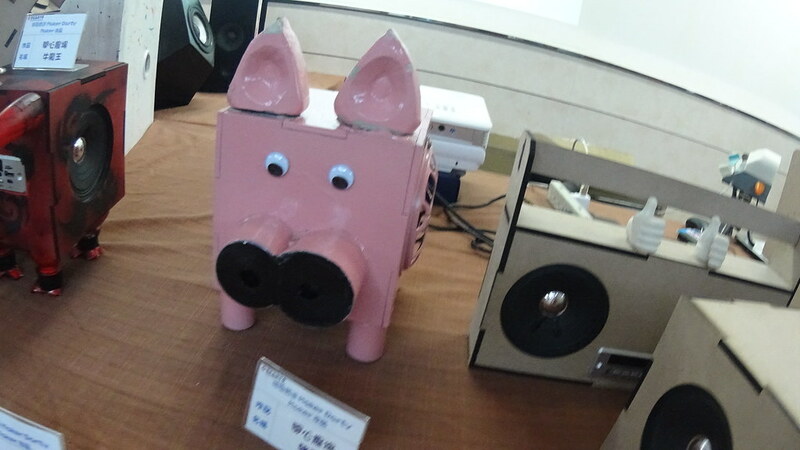 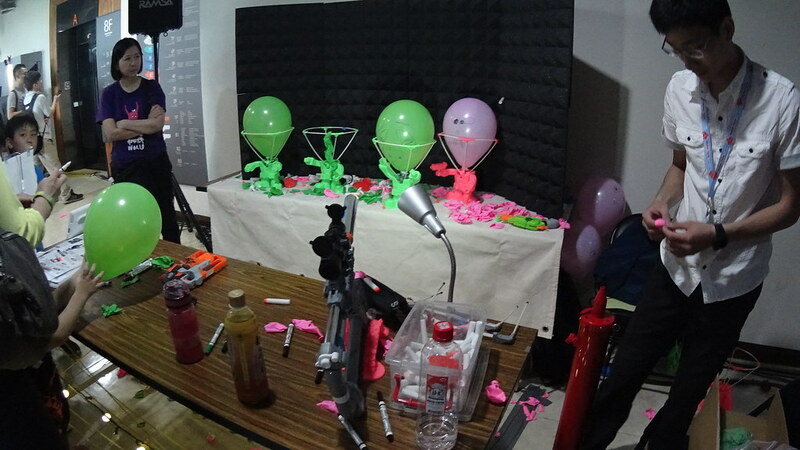 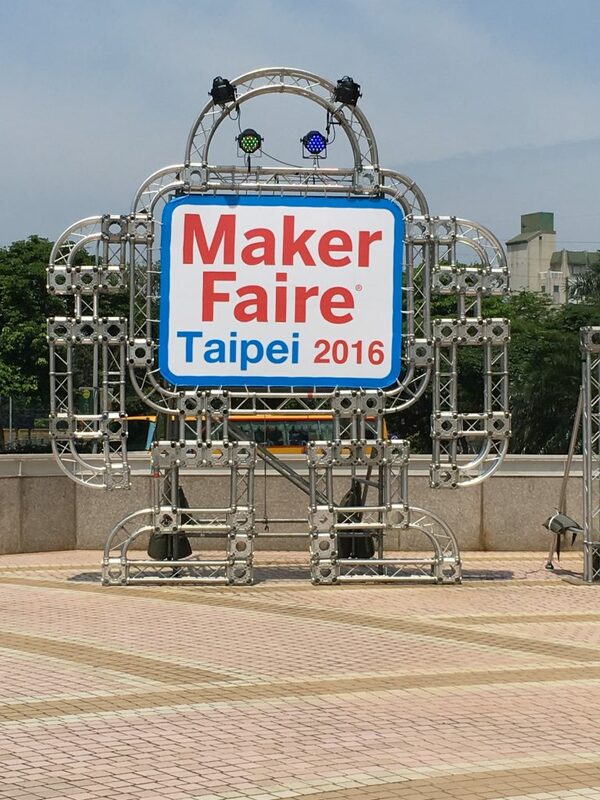 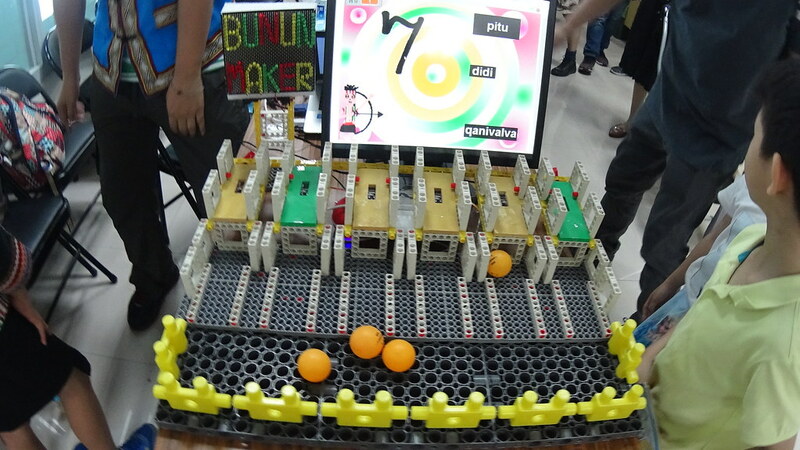 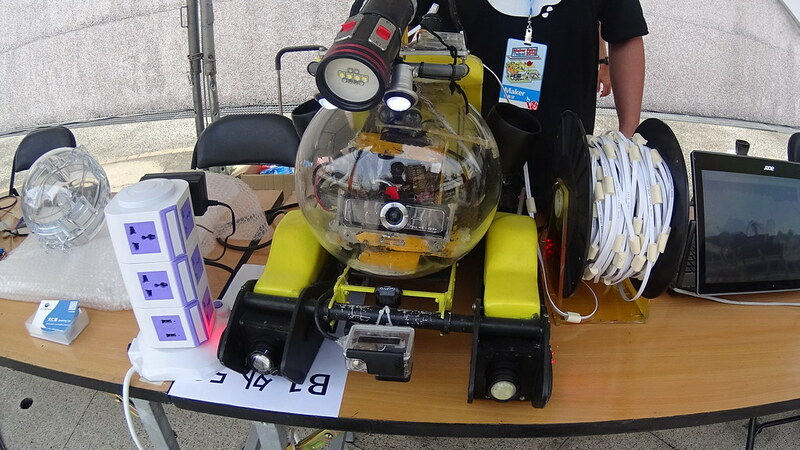 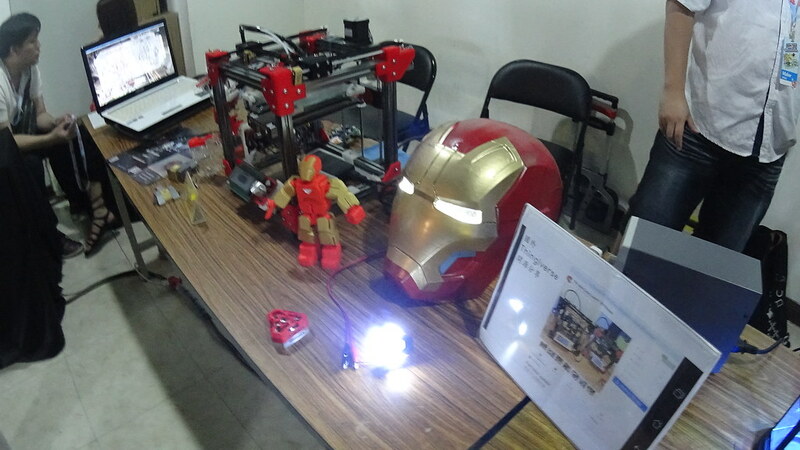 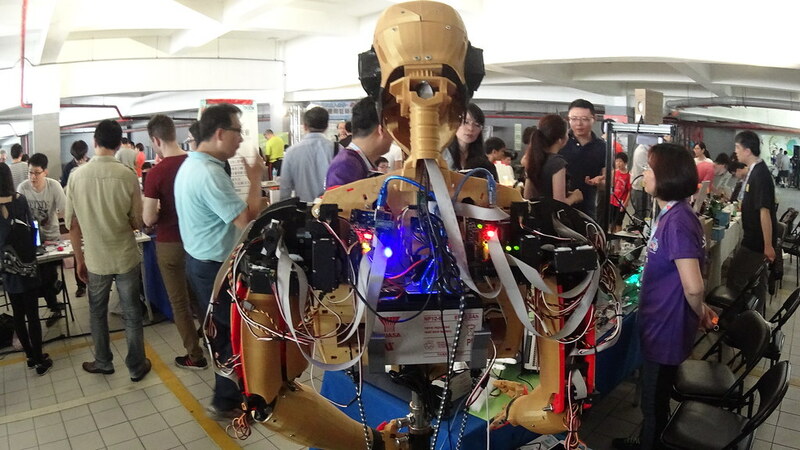 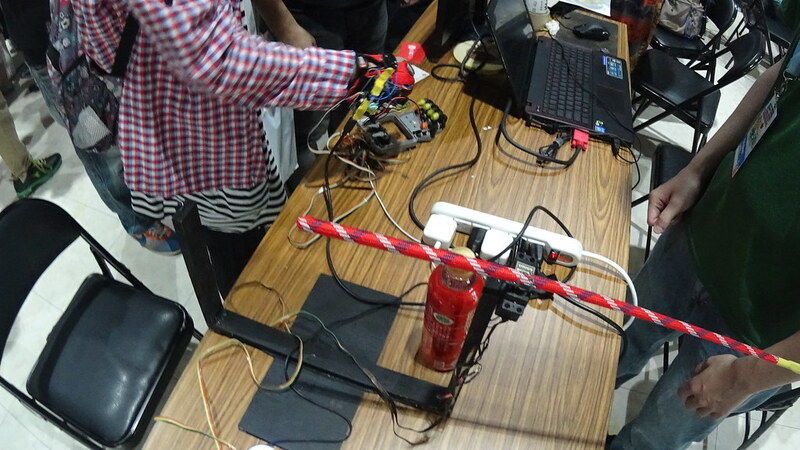 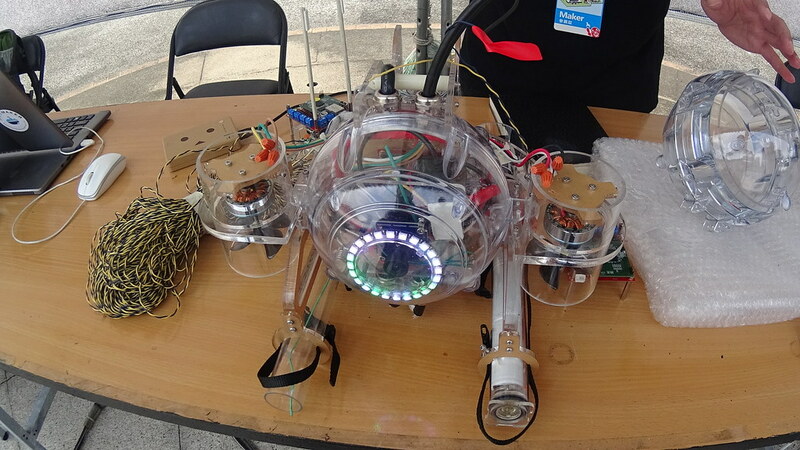 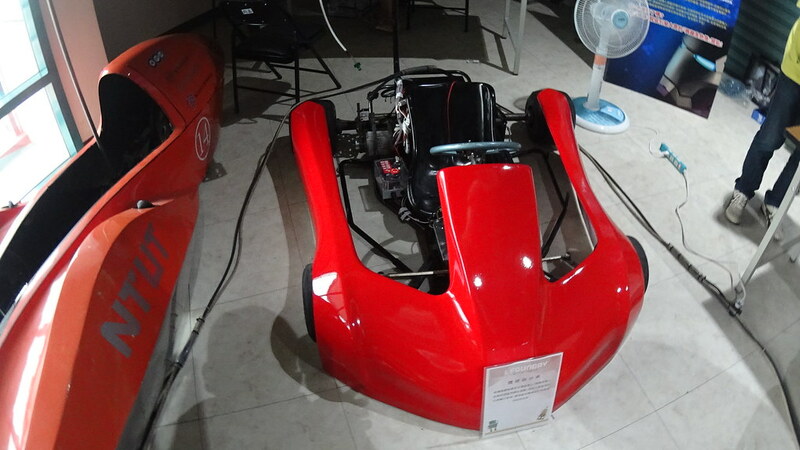 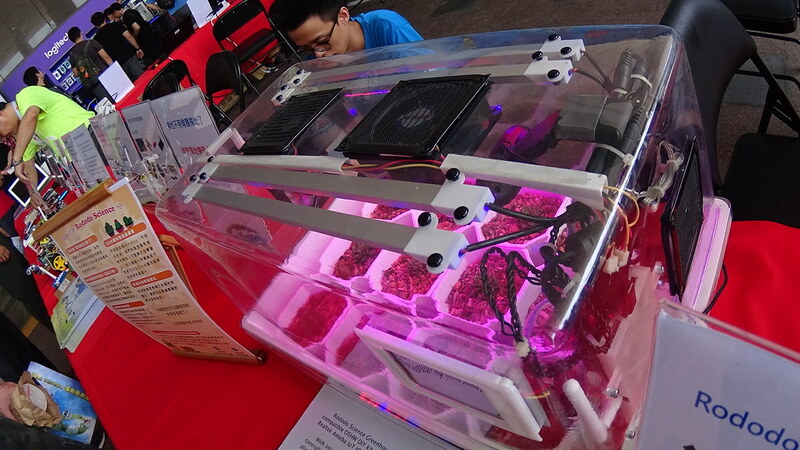 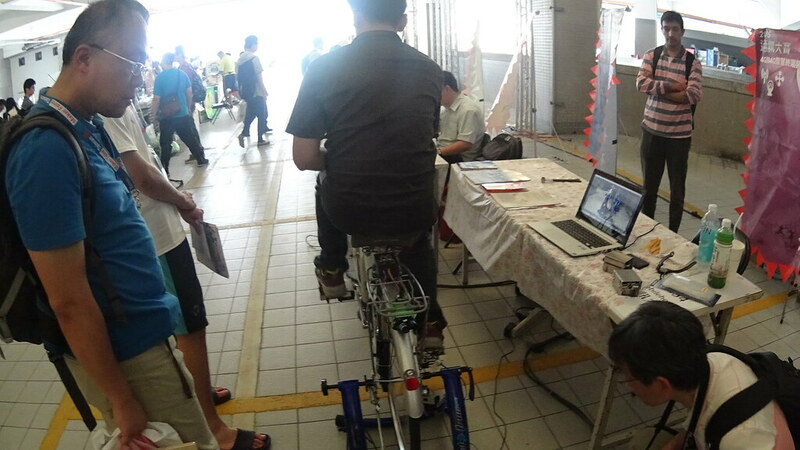 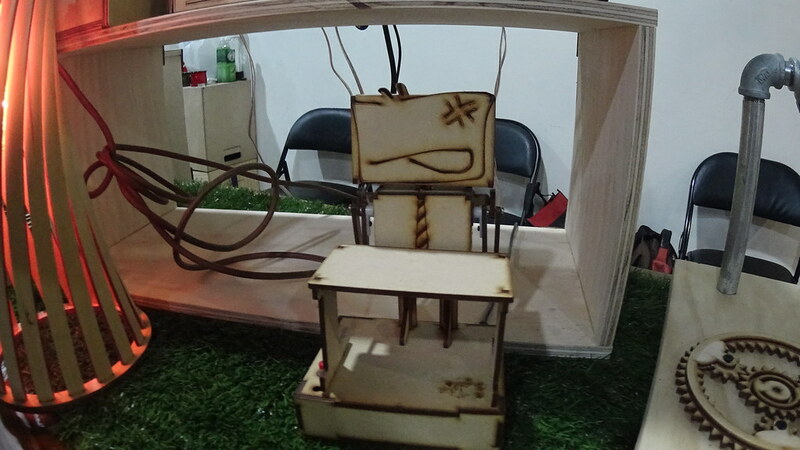 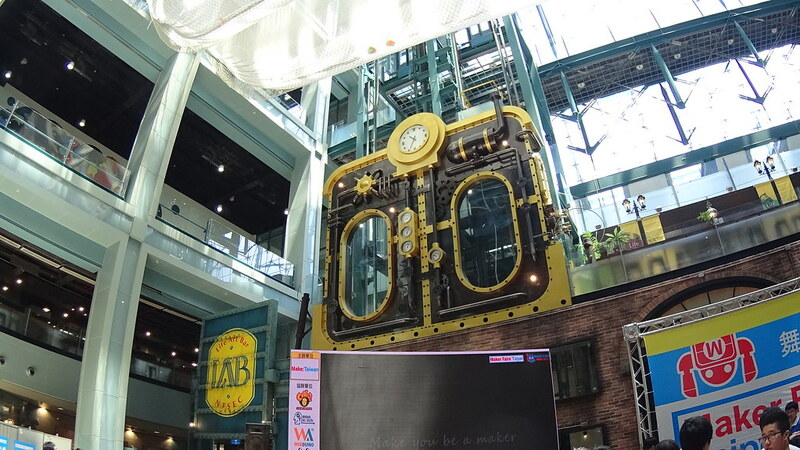 Starting from 2014, Taipei also starts hosting annual Maker Faire event. 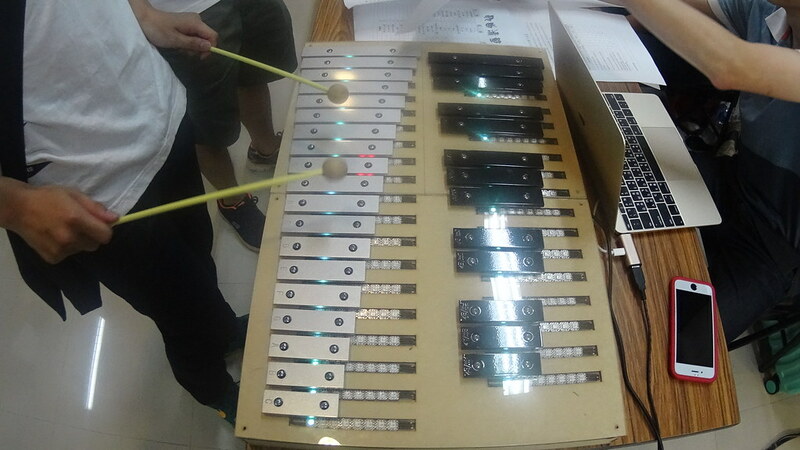 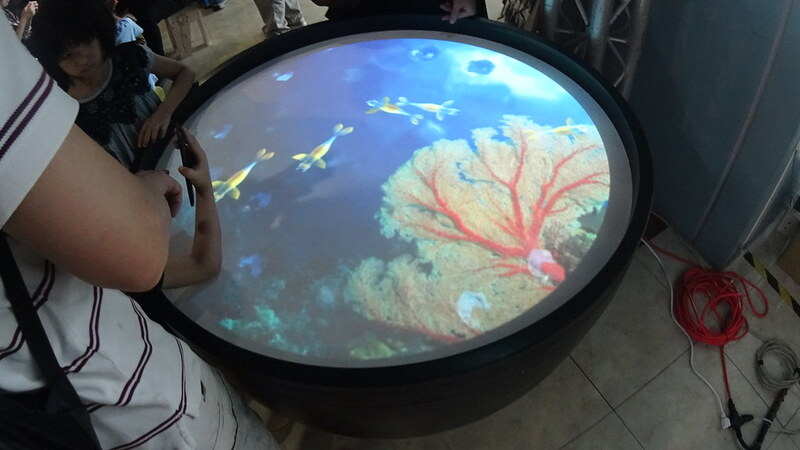 This year was in National Taiwan Science Education Center, a Taiwanese equivalence of San Francisco’s Exploratorium. 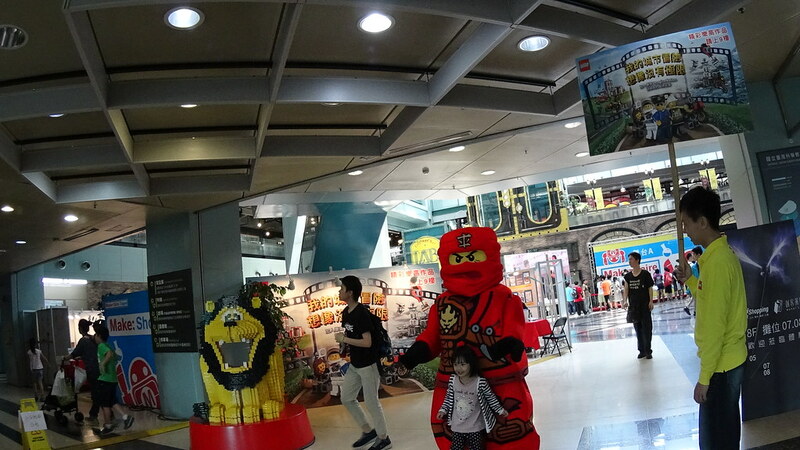 Lego man at the entrance. 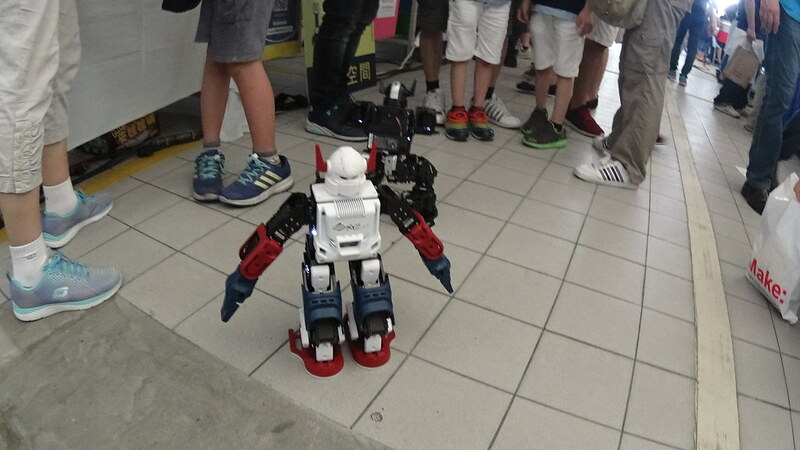 Lego has been a big player of robotic kits. 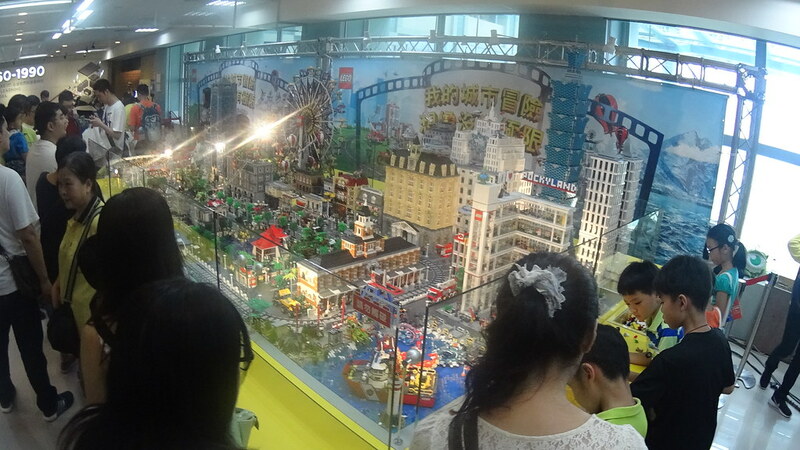 My faire trip started from stands near the entrance. 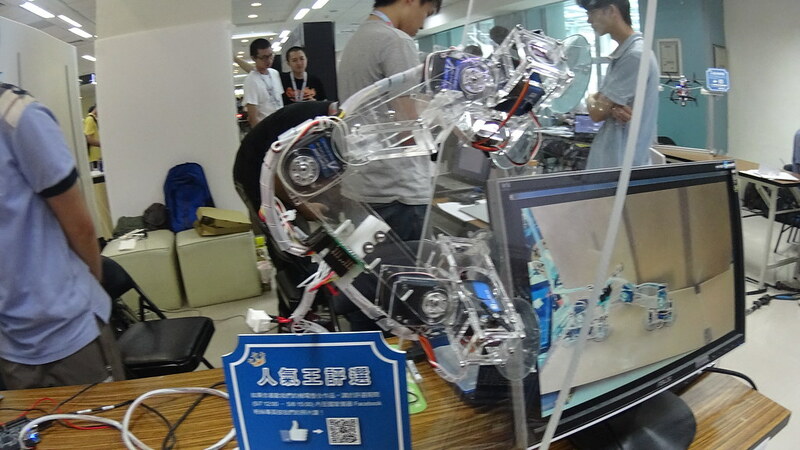 Here many companies showed off their products and projects made from their products. 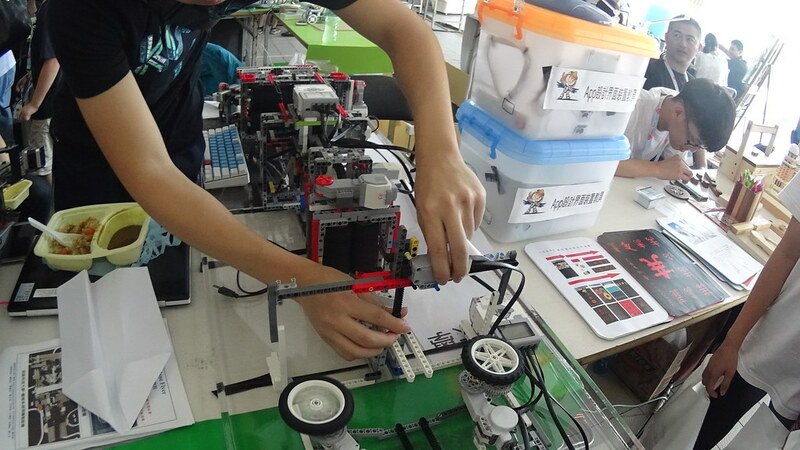 Coding by assembling blocks. 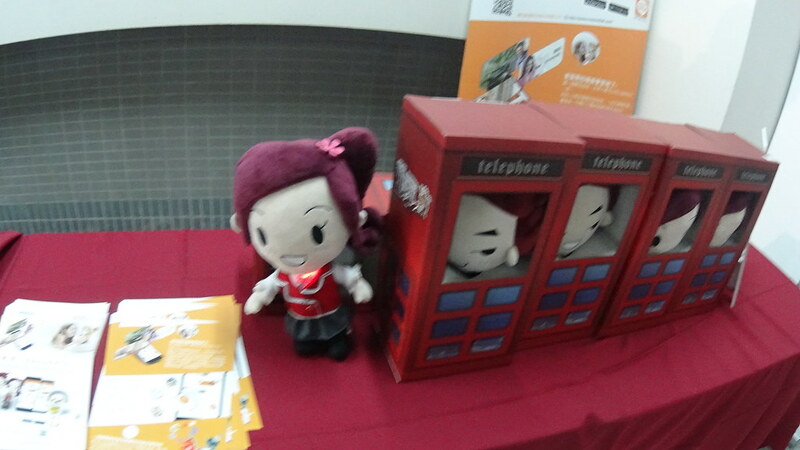 A company from Germany. 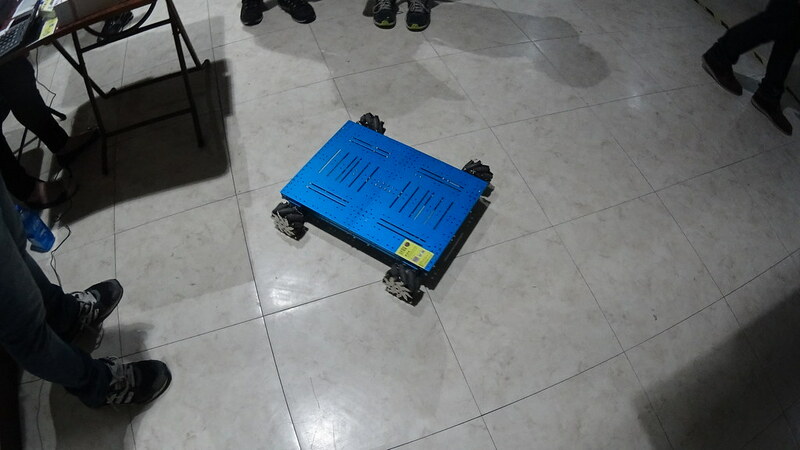 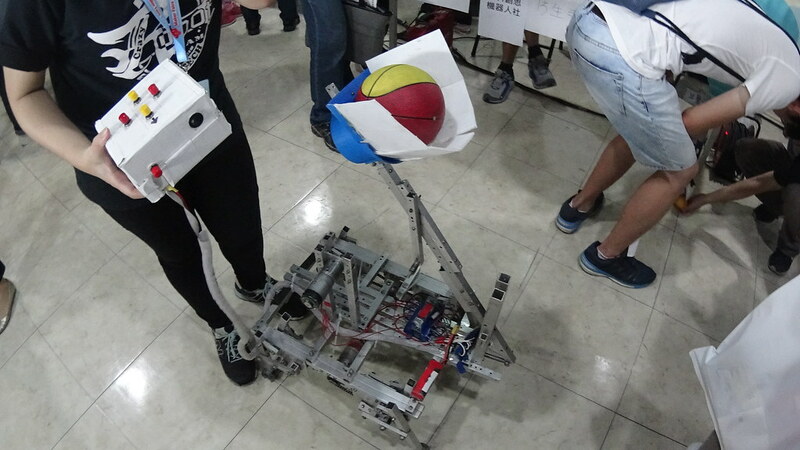 Robotic version of Sisyphus, eternally picking up balls. 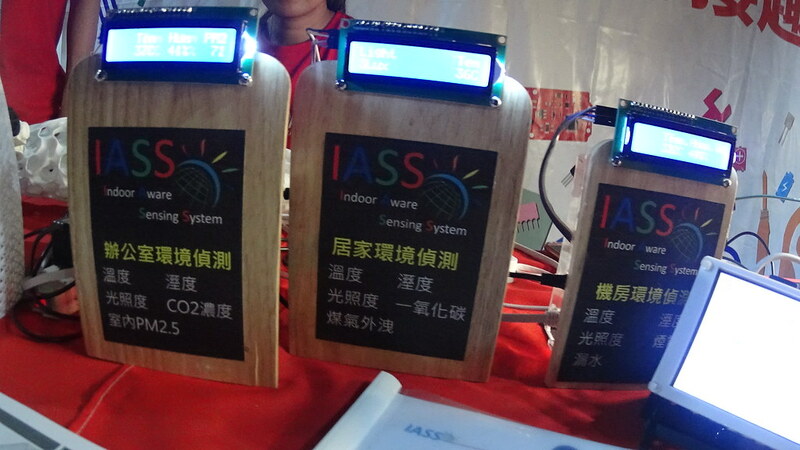 As large corporations join the Internet of Things trend, their logo were also present in the faire. 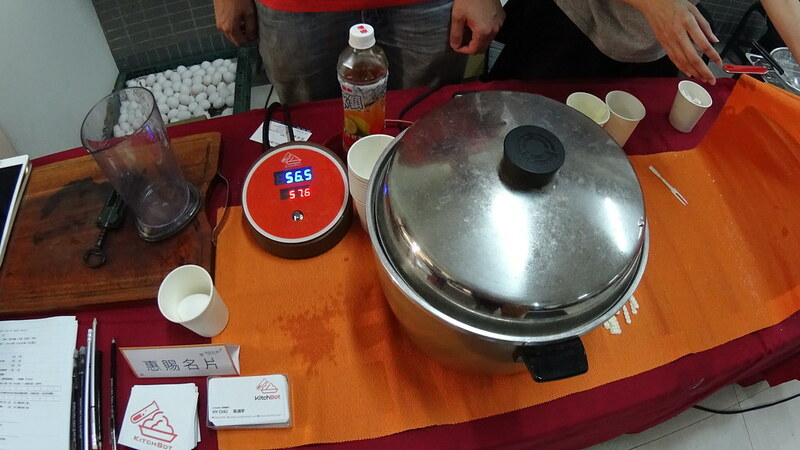 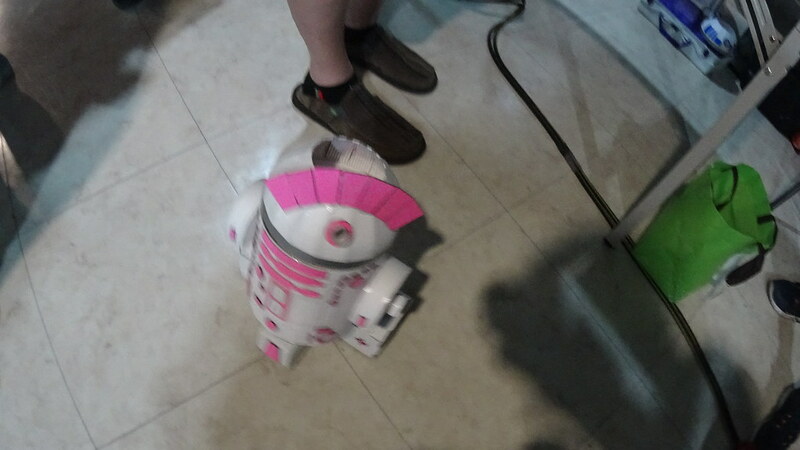 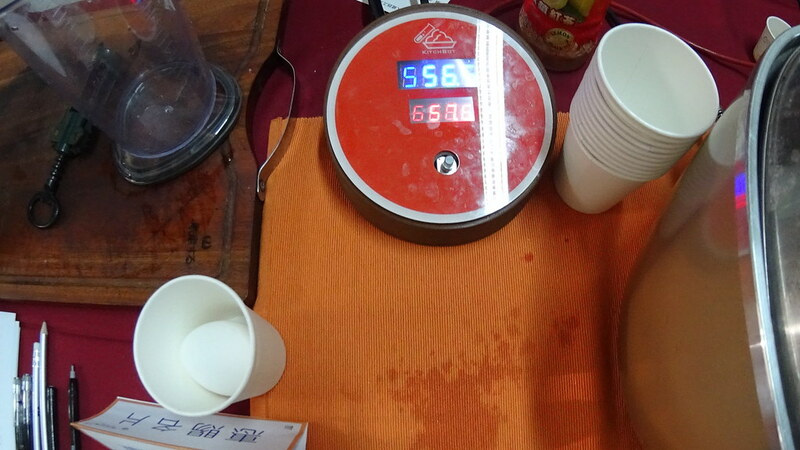 Hacked smart Tatung Rice Cooker. 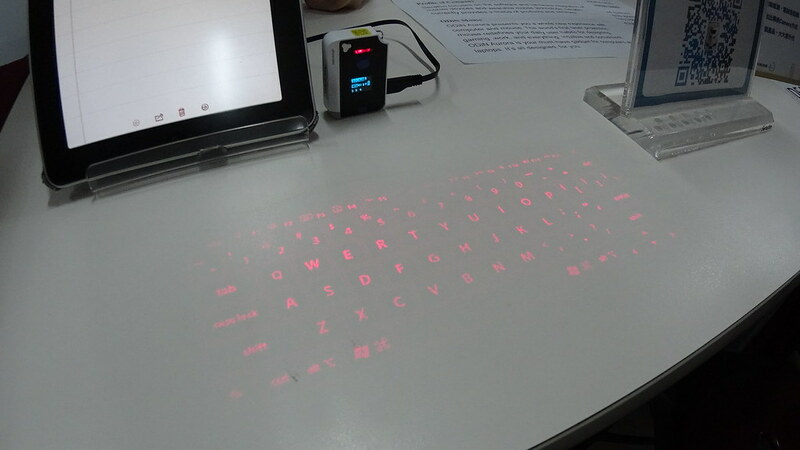 Projective keyboard. 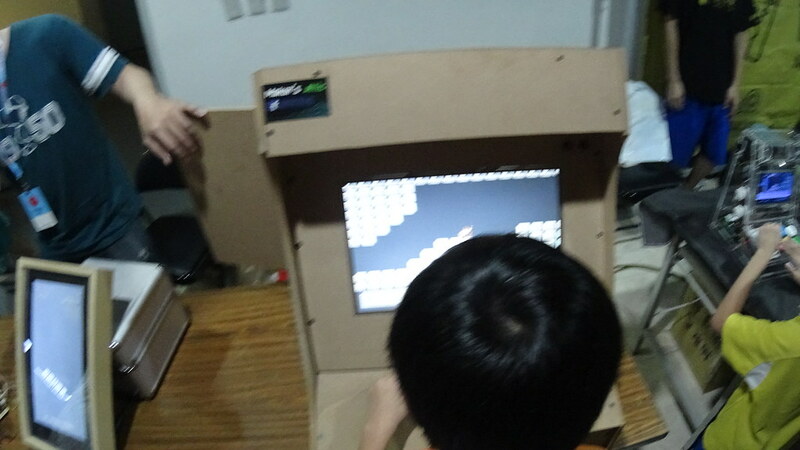 You can really type with it. 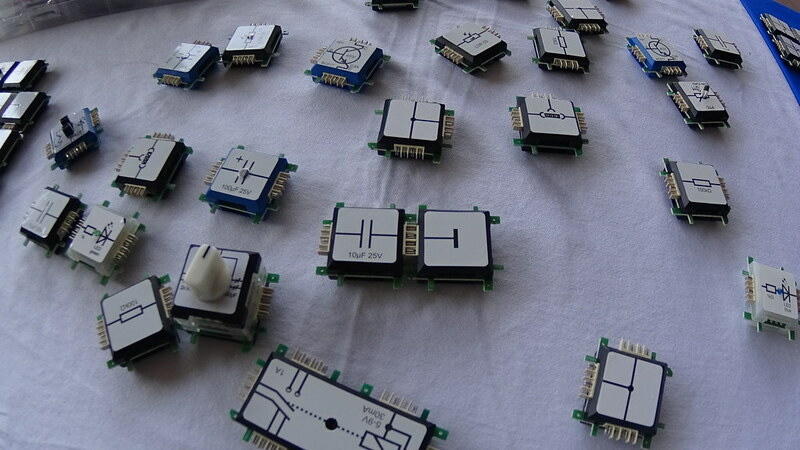 One of the major spirits of makers is hacking. 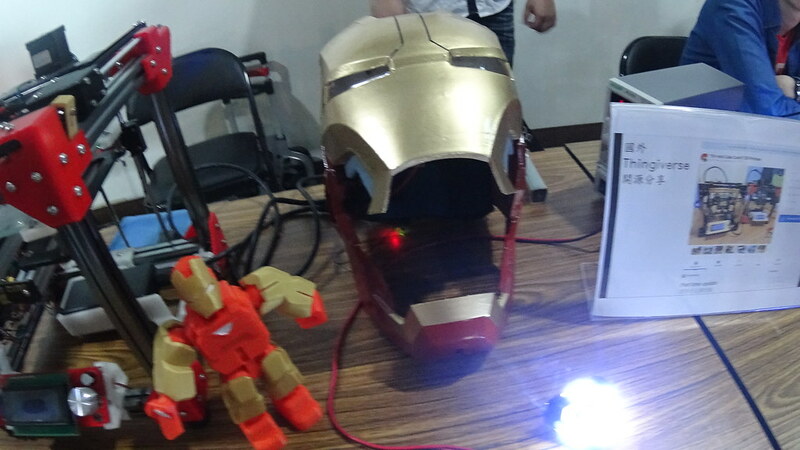 This is even more apparent at the student maker club stands. 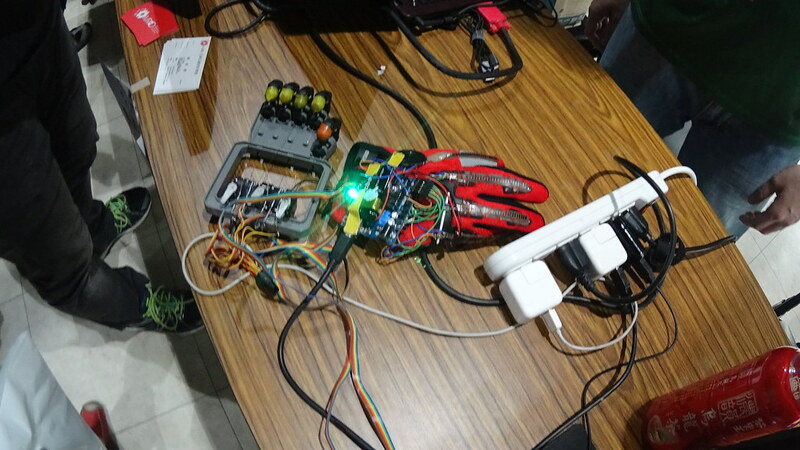 Hacked doll with smart sensors. 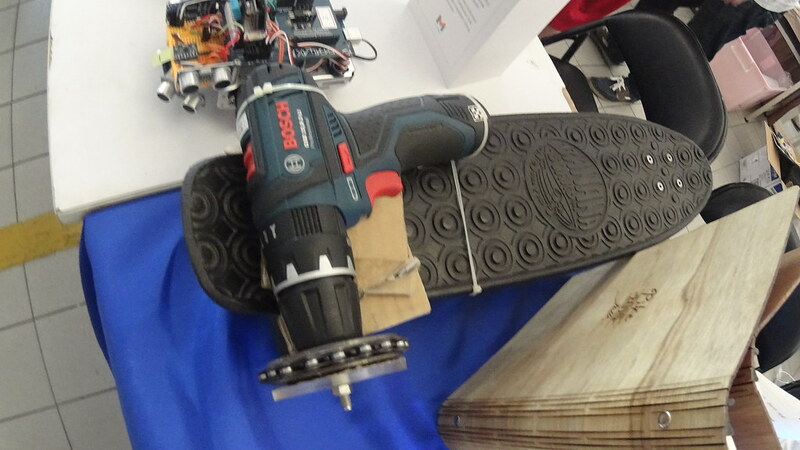 Hacked auto-skater by a power drill. 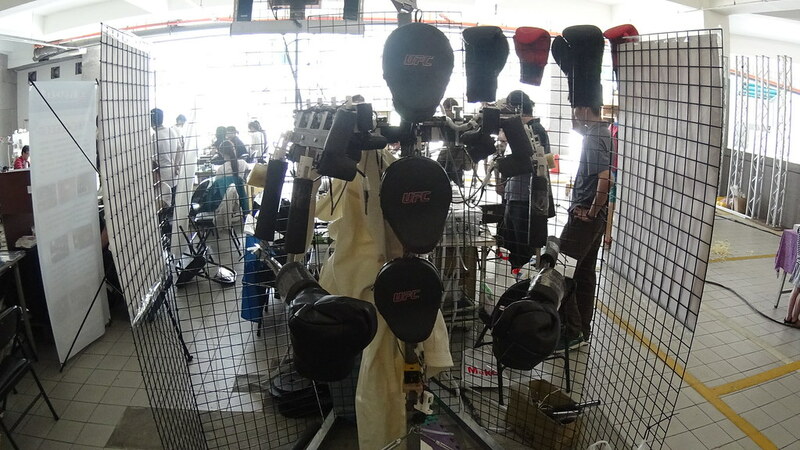 How about boxing with a robot? 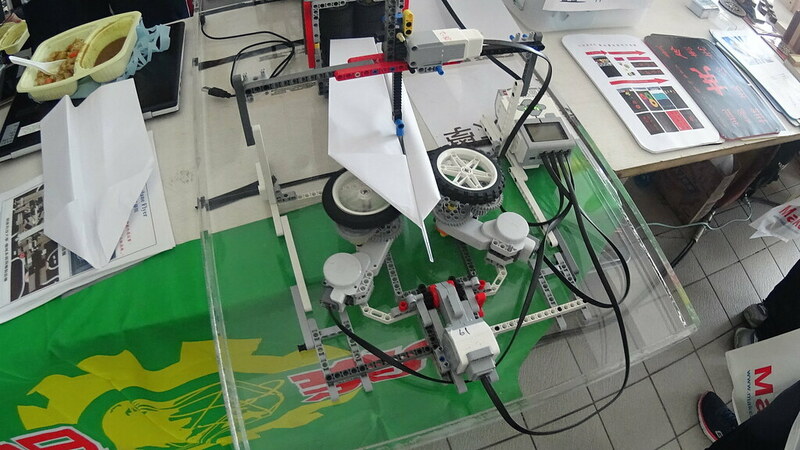 Lego paper plan assembly line. 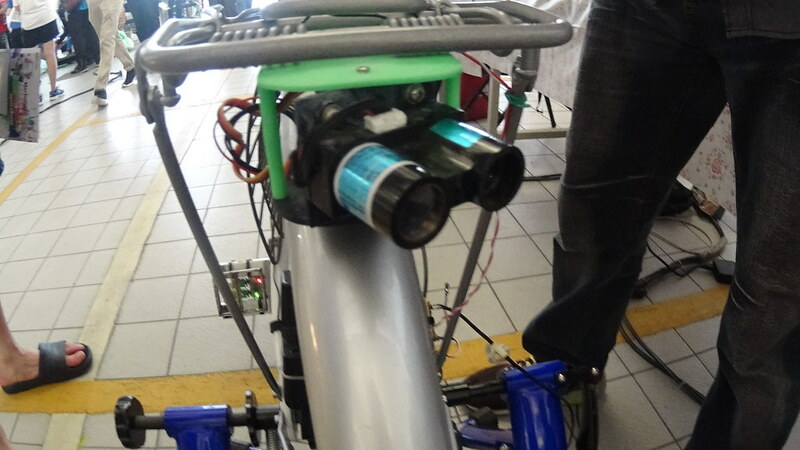 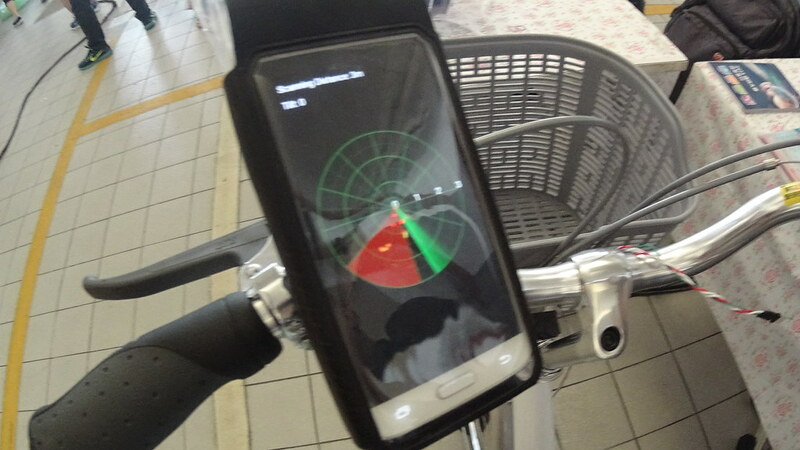 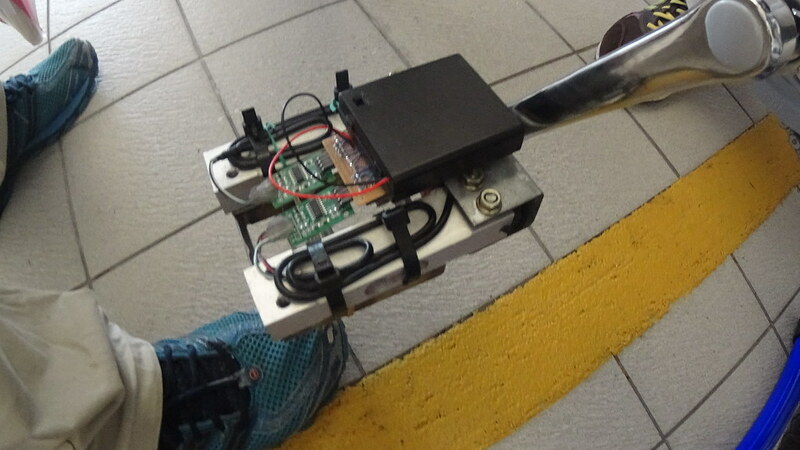 Hacked bicycle with home-made power meter and infrared rear radar. 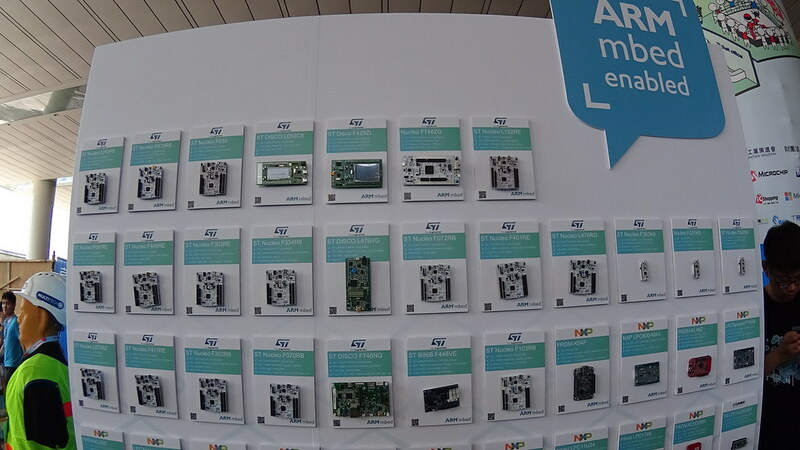 More stands upatirs showing great stuff. 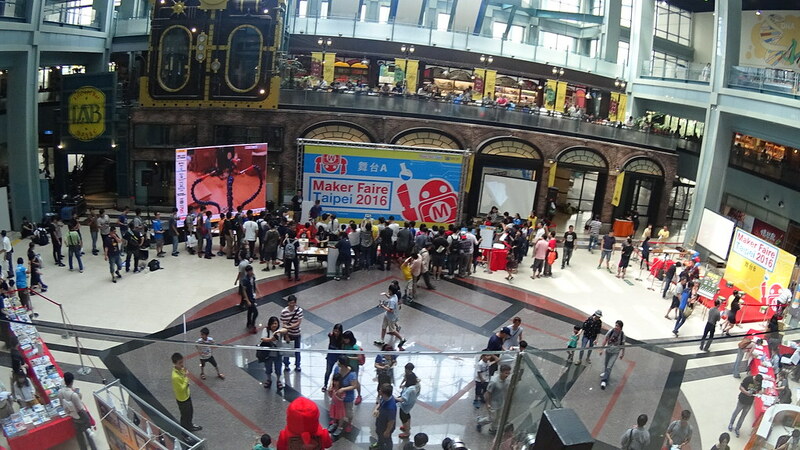 View of the main faire plaza. 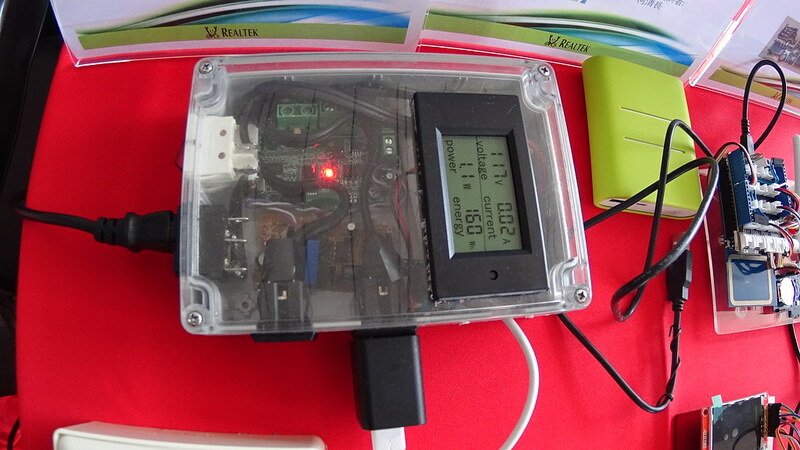 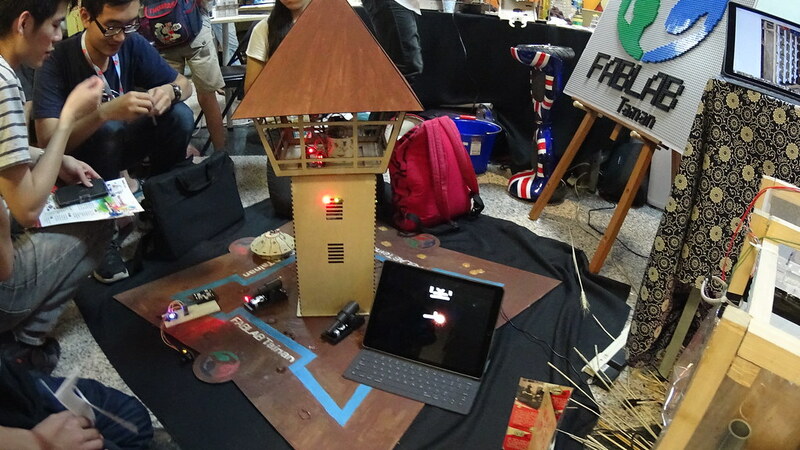 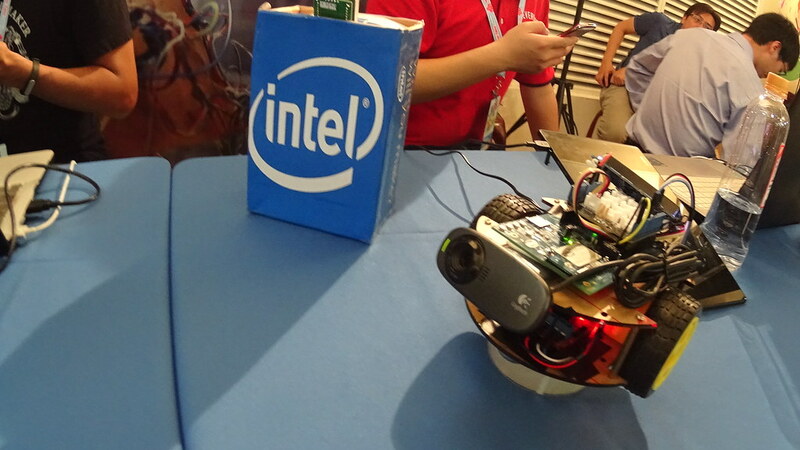 The most popular project in the faire: home environment detecting system. 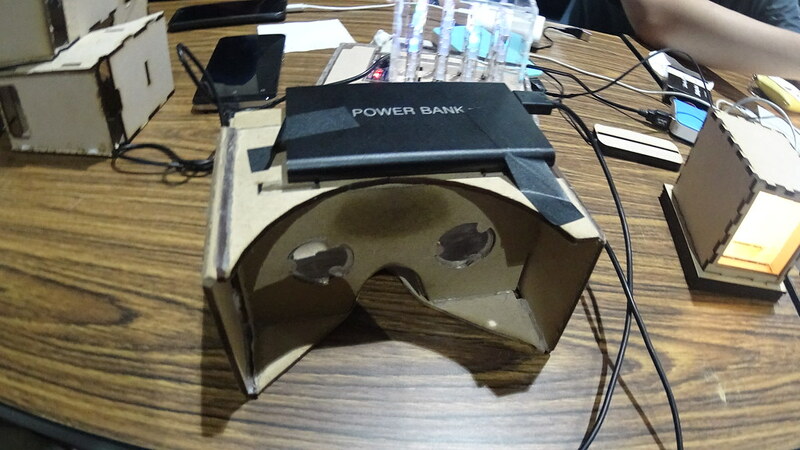 Custom VR powered by a smartphone. 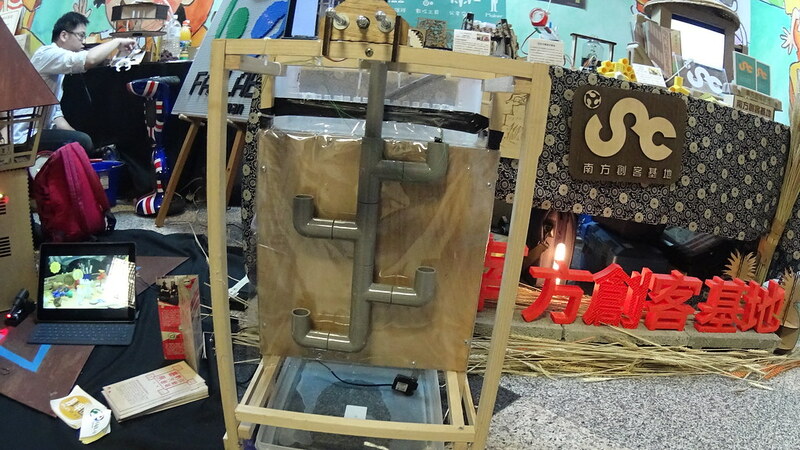 DIY Aboriginal language learning game. 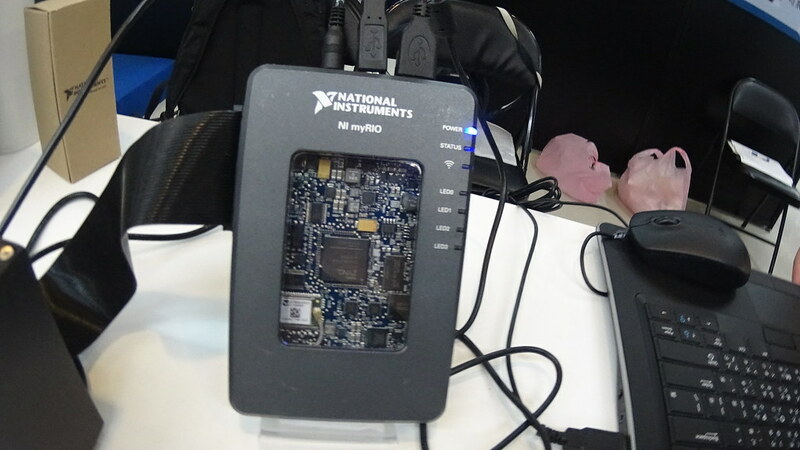 NI took the chance to showcase their industrial grade microcontroller.